The design makes cruising relaxed. It makes a great driving position where you are seated a little behind, hands at a normal level and pedals in front. 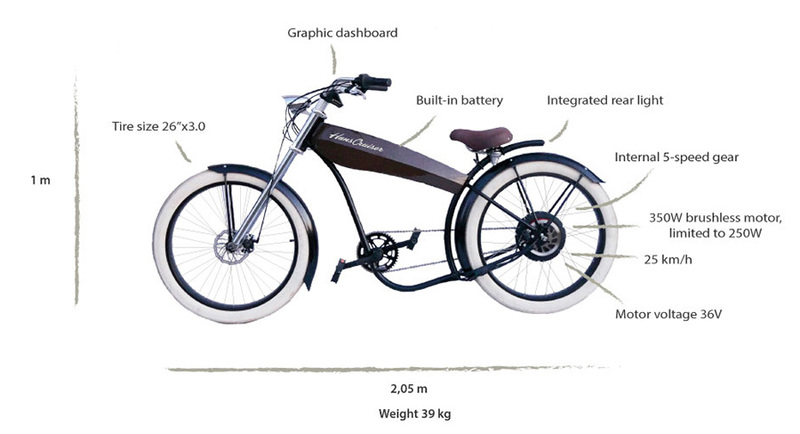 Behind the smooth cruising there are a 350W motor, torque sensor and a battery that enables even a longer journey. Torque sensor recognizes assistance that is needed. The cruiser will have features that make cruising even better. With a graphic dashboard and CruiserCLOUD* we are able to offer new features and services. The features of the cruiser are being developed. Specific information is updated later.